VATICAN CITY (CNS) — Prayer is a central part of Catholics’ work to support the mission of the pope and of the Catholic Church around the world, Pope Francis told members of the U.S.-based Papal Foundation. 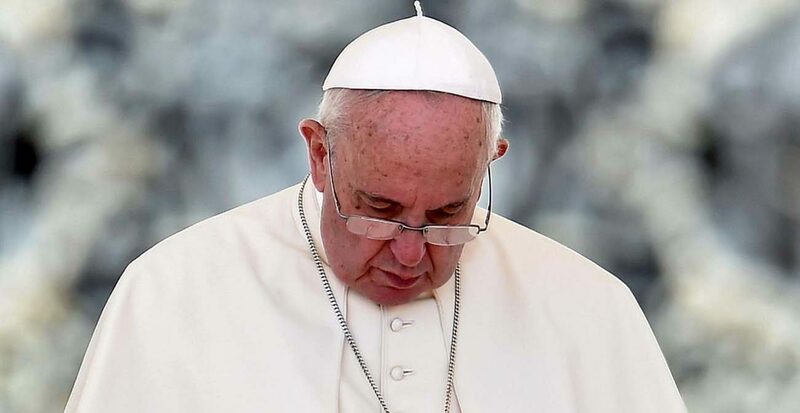 “I ask you, as a vital part of your commitment to the work of the Papal Foundation, to pray for the needs of the poor, the conversion of hearts, the spread of the Gospel and the church’s growth in holiness and missionary zeal,” he told foundation members April 27. Each spring, members of the foundation make a pilgrimage to Rome and present to the pope the projects they have funded for the year. This year’s grants total $10 million. With an endowment of more than $200 million, the foundation provides grants to build or repair churches, schools, convents and seminaries and to fund projects ranging from evangelization and communications training to helping a parish in Africa install a solar-energy plant. “Today’s world, so often torn by violence, greed and indifference, greatly needs our witness to the Gospel message of hope in the redemptive and reconciling power of God’s love,” the pope told members of the foundation, who were led by Cardinal Donald W. Wuerl of Washington, chairman of the foundation’s board of trustees.